The Scottish plant produced its first tyre on November 6, 1972. Almost 46 years to the day the first ever tyre was produced at Dundee's Michelin factory, the company has announced its closure. The plant, one of the biggest private employers in the city, is expected to shut by 2020 leaving 850 people facing an uncertain future. Union bosses said the closure will represent a "hammer-blow" for Dundee and the manufacturing industry in Scotland. The plant first became a reality at the start of the 1970s when a team from Michelin in France toured potential sites for a new site. Although it nearly went to Ulster, the company settled on farmland near Baldovie in Dundee. 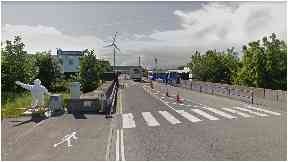 The land was bought for £156,400 and the building of the £4m plant began. In 1971, the first 20 apprentices were hired. Another 60 men in the management/technical production group were sent to training at Michelin facilities in Stoke and three sites in France. For the city's time-served engineers and craftsmen, Michelin offered a superb future, and the facility instantly became one of Dundee's major industrial employers, alongside NCR and Timex. The first tyre was produced on November 6, 1972. Within four years, they produced their five millionth. 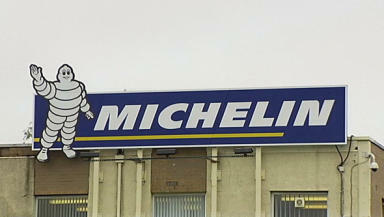 Factory capacity was increased in 1978, and innovations in the industry became part of the Michelin ethos, with the revolutionary run-flat tyre being produced in 1983. Closing: The Dundee factory is set to shut. Over the years the factory has established a range of sports teams, set up its own fire brigade and ran a successful social club to bring the workers' families into the firm's fold. When global revenue fell in 2009, Michelin cut hours and production rather than lay off any of the 800 staff. The factory even did its bit to go green by installing its own wind turbines in 2006 to help reduce the facility's environmental impact and energy bills. In 2013, energy company Ecotricity said their turbines at the factory had a bumper year, producing enough green electricity to power over 1,500 homes or brew over 350 million cups of tea. An expansion was announced in 2015. In 2016, the Queen officially opened the growing site. The investment aimed to increase production to 8.2m tyres and take the products beyond Europe - to North America, South America, India and China. In 2017, Michelin invested a further £16.5m after securing £4.5m backing from Scottish Enterprise. The company planned to add new premises and state-of-the-art manufacturing equipment to support the growing demand for larger tyres. However, by September 2018 it was announced that production at the site over the next three years was expected to stand at no more than 5.4m tyres a year, a level described by the firm as "significantly below capacity". The projected production levels were blamed in part on cheaper tyres coming in from Asia and falling demand for premium tyres in smaller dimensions. Michelin said it would explore all options to maximise the plant's efficiency, with restructuring work patterns and reducing its 850-strong headcount among the options that could be examined. However, on November 5, 2018, Michelin announced the demise of the Dundee factory.